The newest kid on the Salt Lake City food-truck scene is Fat Kid Mac n Cheese, the city's self-proclaimed "cheesiest food truck." Since I don't know anyone who doesn't love macaroni & cheese, this sounds like a wise business move to me. Fat Kid Mac n Cheese makes its offerings fresh daily with a proprietary blend of eight different cheeses. A basic serving of mac & cheese is $6, and additional veggies, meats and toppings are also available. Extras include broccoli, caramelized onions, barbecue chicken, bacon, sauteed mushrooms, fresh tomatoes, all-beef hot dogs and sauces like ranch, barbecue and jalapeño. 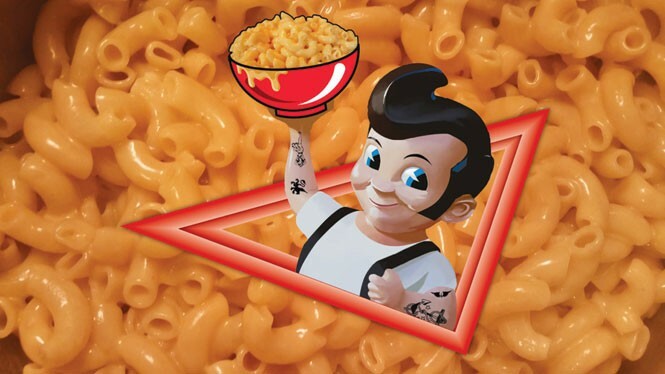 According to Fat Kid's Chef Kimo, "We're here in Salt Lake, on the street, slinging the greatest Mac since Fleetwood." Visit FatKidMacNCheese.com for more information, or find them on Facebook. On Sunday, April 19, from 6 to 9 p.m., Even Stevens sandwich shop (414 E. 200 South, EvenStevens.com) will host a benefit to help raise funds for Late Bloomin' Heirlooms. A staple of the Downtown Farmers Market scene, Late Bloomin' Heirlooms is an independent farm that grows more than 50 heirloom tomato varieties, as well as other vegetables and fruits. The benefit is called "Of Course, Vol. 2" (Vol. 1 took place in November). The evening, with tunes supplied by Vinyl Tapestries, will bring together local chefs to prepare a six-course dinner. The chefs are Buzz Wiley of Pallet Bistro (amuse-bouche), Jason Dreelin of Even Stevens (appetizer), Joshua Hoellein from U.S. Foods (salad), Hasen and Terri Cone of Sweet Lake Limeade (intermezzo), Katie Weinner from SLC Pop and Top Chef Season 12 (entree) and Tom Call of Food Made by Tom (dessert). For tickets, visit EventBrite.com. On Wednesday, April 22, at 7 p.m., BTG Wine Bar (63 W. 100 South, BTGWineBar.com) will host a wine dinner featuring the globally acclaimed Italian wines of Vietti and Querciabella, based in Piedmont and Tuscany, respectively. The cost is $60 for four courses and four wines ($30/food; $30/wine). Call 801-359-2814 for reservations.